With a budget price, simple control panel and lightweight design, the Bounty Hunter Tracker IV appears to be the ultimate beginner’s detector. Should you buy it though? Or is it just an overpriced toy? Read my in-depth review to find out! Bounty Hunter manufactures a range of entry-level detectors, but their most popular model is the Tracker IV. 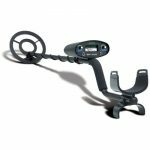 The Tracker is a budget metal detector with a low list price of $130. Keep in mind this is the list price - it’s often available for even cheaper. As you would expect from a detector in this price range, it's a simple device with an analogue display. Unlike toy detectors, however, it comes with sensitivity and discrimination adjustment, along with a motion all-metal mode and 2-tone audio. How does the Bounty Hunter Tracker IV stack up against other entry-level metal detectors though? And what types of targets can you hope to find? Let’s find out. Is it suitable for beach hunting? Is it suitable for gold prospecting? Does it include a pinpointer mode? The Bounty Hunter Tracker IV has been designed to be straightforward to operate - even if you’ve never used a metal detector before. At a basic level, the Tracker IV is a 6.7kHz VLF detector with three search modes and an adjustable stem. Bounty Hunter has designed it to be rugged, so it can withstand regular use in tough environments. It’s worth mentioning that this is a motion metal detector. It must be moving to detect metal - just holding the coil over a target won't trigger a signal. There’s a built-in speaker, although you’ll probably want to buy headphones to use with the ¼” jack. This is particularly important in noisy locations or if you want to avoid annoying people nearby. Everything about the Bounty Hunter Tracker IV is streamlined so it’s clear and easy to use. With just two knobs and dual audio tones, it has a quick learning curve but can still handle most hunting conditions. The analogue meter shows signal strength, which provides a crude indication of the target’s depth and size. It’s not the lightest detector on the market but isn’t too heavy either. At 4.2lbs, it’s suitable for children and can be used for long hunting sessions without getting tired. Don’t let this simplicity fool you though: this isn’t a toy detector. It can’t match the customization or performance of more expensive models, but for the price it provides great value and reasonably good performance across a range of conditions. Of course, there are plenty of features missing in comparison to pricier detectors. There’s no ground balance adjustment function, for example, which is limiting for experienced detectorists. This also makes it virtually impossible to use on saltwater beaches or ground with high mineralization. Not needing to adjust ground balance eliminates a major source of frustration for beginners or children though - and most entry-level models only have pre-set ground balance anyway. The Tracker IV also doesn’t include digital target ID, depth indication or iron audio. These are all useful features - but it’s hard to complain considering the low price. There are only three adjustable settings: sensitivity, search mode and discrimination. While the lack of advanced settings might seem limiting to experienced hobbyists, it makes the Tracker IV easy to learn and use. The higher the sensitivity, the deeper the detector will be able to “see” a target. Or, to put it another way, the smaller the minimum target size for detection. There's a problem with higher sensitivity though. The deeper the detector is searching, the more likely it is to be triggered by mineralization in the soil. Higher sensitivity also makes electromagnetic interference from power lines and outdoor appliances more likely. For this reason, you may need to use a lower sensitivity to reduce falsing and excessive chatter. Adjusting the sensitivity is as simple as turning the dial on the left of the control panel. The goal is to have the sensitivity as high as possible while rejecting false signals. There’s also a knob to adjust discrimination. This becomes active when the detector is in “Full Discriminate” or “Tone” mode, but is ignored in "All-Metal" mode. What does discrimination mean though? In the metal detecting world, discrimination is a detector’s ability to ignore unwanted targets. Examples include metals that are often trash items, such as lead and iron. More advanced machines have notch discrimination using a graphical interface. These allow you to “notch out” certain types of metal you don’t want to detect, such as pull tabs or other trash. The Bounty Hunter Tracker IV just has a single knob for discrimination though. The higher the setting, the more aggressive the discrimination - but there's no option to "notch out" areas while leaving others. There's no doubt the discrimination knob is a useful feature and is simpler to use than other detectors. But it lacks the flexibility of models such as the Garrett 250 (click here for my full review of this model). You also need to avoid accidentally discriminating objects you want to find. While a high discrimination allows you to find highly conductive metals without iron signals, such as silver and copper, it may reject potentially valuable metals such as brass, nickel or gold. For this reason, it’s a good idea to take a variety of targets into your garden and practice with the detector. Try to get a feel for which items are rejected at various levels of discrimination. If this sounds complicated, then don’t worry - it’s not! You just need practice to find the right discrimination setting. You can also use all-metal mode if you’re worried about missing targets. There are three search modes included with the Tracker IV. These are activated using the switch at the bottom right of the control panel. All-Metal - All types of metal are detected in this mode, including aluminum, steel, brass, copper, iron, silver and gold. A single high-pitched beep is emitted as you go over metal. The advantage of all-metal mode is that it provides maximum depth. It’s also useful for relic hunting, as some “real” targets may be made from iron. Tone - Unlike the other two modes, this mode features two-tone audio with automatic iron rejection. It emits a low or high audio signal depending on the type of metal detected. This mode also respects the discrimination setting. Full Discriminate - Most trash items are automatically rejected in this mode. You can adjust the range of discrimination using the discrimination dial. Like All-Metal, this mode only uses a single tone. The stock package includes an 8” waterproof concentric searchcoil. This isn’t a DD coil, so don’t expect the object separation of models with a DD coil - especially in ground with high levels of mineralization. The stock coil provides a decent balance between sensitivity and ground coverage though. It’s important to note that the control box is not waterproof. While it’s fine to submerge the coil in shallow water, make sure the control box doesn’t get wet. The Tracker IV has a ¼” headphone jack. There is a built-in speaker, but I recommend buying a high-quality set of headphones so you don’t miss any signals. The detector does not have volume control though. This is why it’s important to buy headphones with a built-in volume setting. You can expect a run-time of up to 30 hours from a single set of 9V batteries. This varies depending on how high your sensitivity is though. I recommend buying rechargeable batteries if you want to save money, although they may reduce run-time. One of the best features of the Bounty Hunter Tracker IV is the low-budget price. For comparison, it’s considerably cheaper than most entry-level detectors, such as the Fisher F22 and Garrett ACE 250, plus it's available at many major retailers (including Walmart and Amazon). The detector is also very simple to use. For this reason, it’s a great choice for children. It can also be a decent first model for beginner detectors, although you’ll outgrow the limited features faster than with the F22 or Tesoro Silver uMax. The Tracker IV is a capable detector that provides excellent value for money. It does a good job of picking up any type of metal, including relatively small targets (assuming favorable ground conditions). With a relatively low frequency of 6.7kHz, the Tracker IV is never going to be the most sensitive detector of small objects. It also doesn’t provide great target separation compared to more expensive detectors. Even so, the Tracker IV is a lot of fun to use and is surprisingly sensitive. The discrimination feature works well once you get the hang of adjusting it. The two-tone audio mode can also be useful for discerning trash signals. As with all detectors, the maximum depth depends on a variety of factors. These include the size of target, sensitivity setting, search mode and ground conditions. You can expect to detect a U.S. Quarter down to a depth of 6”-7” in good conditions though. While the detector is easy to use, it's important to read the owner's manual carefully (you can download it here in PDF form). There are also plenty of YouTube videos to help you get the most out of the machine. The Bounty Hunter Gold Digger is an even lower budget option than the Tracker IV. It has a simple design and analog display, although it lacks the three search modes included with the Tracker IV. The Gold Digger also comes with a smaller 7” coil. Considering the Tracker IV isn’t much more expensive, I recommend choosing it over the Gold Digger. While the Garrett ACE 200 and Bounty Hunter Tracker IV are both entry-level detectors, the Garrett is a step up in terms of features. Unlike the Bounty Hunter, the ACE 200 has 0-99 visual target ID, a digital control panel and depth indication. These provide a lot more information about the material and depth of a target. An upside to the Bounty Hunter is that it has a knob for adjusting discrimination. The ACE 200 comes with three pre-set discrimination patterns, but you can’t adjust them manually. Other models in the ACE range come with notch discrimination though, which provides greater control than the Tracker IV. If you can afford the ACE 200, I recommend buying it instead of the Tracker due to the digital target ID and depth indicator. The Tracker IV is a great choice if you’re on a tight budget though. My top recommendation for an entry-level detector is the Fisher F22 - but how does the Tracker IV compare? This isn’t really a fair comparison, as the F22 is considerably more expensive. It comes with a pinpointing mode, digital target ID, depth indicator and notch discrimination though - so it’s a far more advanced machine. It’s also more sensitive and can detect at greater depths. The Tracker IV is still a good choice for beginners on a budget though. The Bounty Hunter Tracker IV is great for hunting on dry sand. If you take it to a beach the morning after a hot day, there’s a good chance of finding some buried treasure. It’s not suitable for wet sand though. This is because saltwater makes the sand highly conductive, so you need either a pulse induction detector or a model with manual ground balance. The standard package doesn’t include any accessories. You’ll need to buy a pair of headphones with volume adjustment, along with any tools, carry cases, coil covers and pouches you might need. Like all metal detectors, the Tracker IV can detect any type of metal. This includes gold, silver, aluminum and lead. The problem is that gold nuggets are often found in areas with high mineralization. As the detector lacks automatic or manual ground balance adjustment, it will struggle with lots of chatter in these regions, so it isn’t suitable for gold prospecting. It’ll pick-up a gold ring lost at a park or beach though. Yes, this is a good first detector for older children or teenagers. While it’s a bit heavier than I would like for a kid's detector, the simple design, low price and reasonable performance make up for it. In fact, the Tracker IV made my list of the best kid’s detectors. Click here for the full list. No, the Bounty Hunter doesn’t include an integrated pinpointer mode for more accurate target location. You'll need to purchase a separate pinpointer. Yes, the Tracker IV comes with a 5-year warranty from Bounty Hunter. With its simple design, surprisingly good sensitivity and low-budget price, the Bounty Hunter Tracker IV provides great value for money. If you’re on a tight budget, or are buying for a child who may lose interest in the hobby, the Tracker IV is a decent choice. It’s a cheap machine but provides plenty of detection capability and is easy to learn. There are some drawbacks though. The lack of digital target ID and notch discrimination make it less versatile than entry-level models in the $200-$300 range, such as the ACE 250 or Fisher F22. It also doesn’t come with a pinpointing mode and has pre-set ground balance. It would be unfair to write-off the Tracker IV because of these missing features though. It’s unrealistic to expect them from a detector with such a low price - and the Bounty Hunter still provides great performance and value for money. 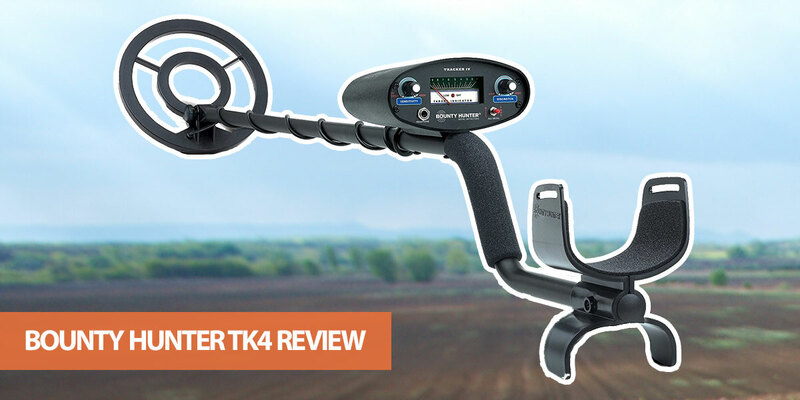 I hope this Bounty Hunter Tracker IV review has helped you decide whether it’s the right metal detector for you. If you have any questions, please let me know in the comments.